...where vineyard and nature merge. Prices starting from as low as $125/night. Click on the availability link below and see what fits for you. Look for the old red truck on Bussell Highway halfway between Busselton and Margaret River, here you will find a picturesque vineyard, with three secluded chalets tucked in the forest to the rear. Island Brook Estate is our little piece of tranquility in the heart of the Margaret River Wine Region. With three chalets tucked in the forest behind our vineyard, you will find this the perfect platform to explore all the region has to offer. The chalets at Island Brook Estate are located in the jarrah forest behind our vineyard. The vineyard is fully operational and supplies grapes to the Haywood Wine Company and Devils Lair. All chalets have spas and are fully self-contained, there is no interaction with the staff unless you would like or require it. There is a two night minimum with a three night minimum over Christmas, Easter, long weekends, etc. The Semillon and Chardonnay chalets both have a shower over the spa. This can be a bit challenging for the elderly or anybody with a mobility issue. The WiFi is free, but being in a regional area access to movies etc....well it's not going to work. Emails, Facebook, etc work fine. The chalets are secluded in the forest, from time to time you may see a spider or bug, please don't be alarmed if it is an issue, let us know. We are located in the Margaret River Wine Region, NOT in the town site of Margaret River. 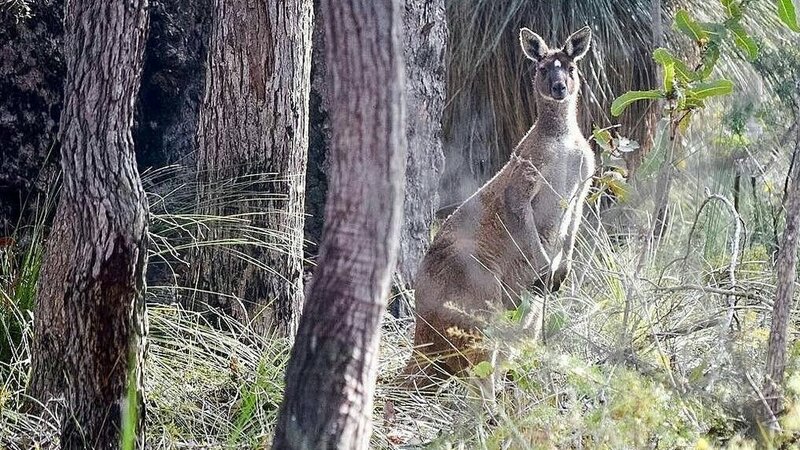 There are kangaroos, and all sorts of other native critters. The romance of the vineyard. There is wine at your doorstep. Minutes from the regions main offerings. 15 minutes from Margaret River, Busselton or Dunsborough. Family friendly, with cots and highchairs available free of charge.